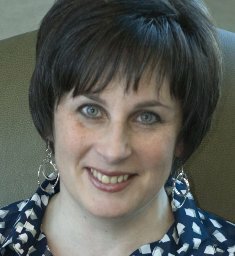 I could not be more excited to be hosting my new favorite author, Susanna Kearsley, today on Passages to the Past! 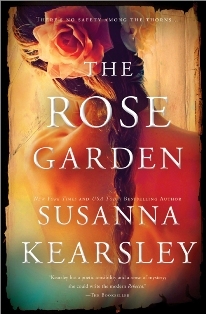 Susanna is here with a guest post in honor of the Sourcebooks re-issue of her novel, The Rose Garden! I recently read Kearsley's novel, The Winter Sea, after seeing all of the rave reviews from my fellow book bloggers and fell in love with her writing! It was such a fabulous story and I am really looking forward to reading the rest of her novels. It is very thrilling for me to have here on my blog and I hope you enjoy the guest post as much as I did! And thanks to the generous people of Sourcebooks, I have a copy of The Rose Garden to give away to one lucky reader! Every so often debates will spring up about the value of historical fiction, and how it compares to historical non-fiction, and whether fiction has any real place in the telling of history. I won’t get up on my soap-box about all that here (although as both a former museum curator and a historical novelist, I have a few strong opinions) but I truly feel that historical fiction, when done well, puts back into history what the history books sometimes take out of it: the human factor. Battles are not fought by kings and generals, they are fought by men, who breathe and love and hope and hate and dream, just like the rest of us. The paper records left to us don’t always give a sense of that, and history books concerned with “facts” (as they perceive the facts to be) are really only telling half the story. 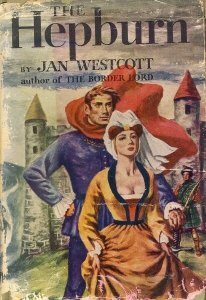 One of the best examples I can give of this comes, not from any book I’ve written, but from one of the first historical novels I ever read: Jan Westcott’s The Hepburn. 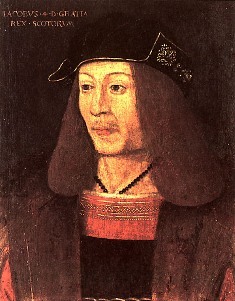 One of the major subplots in that novel tackles the tale of King James IV of Scotland and his mistress (and possibly wife), Margaret Drummond. So, poor Margaret Drummond, along with her two sisters (who had shared the same breakfast as she had) died of poisoning, and James subsequently married Margaret Tudor. Those are the facts, and historians are limited in how they can present them. It’s not that historians don’t allow James to have feelings. Some do. Some speculate that James was “stunned” or “devastated” by the death of the woman he patently loved, and some even go further to infer that, because he immediately rushed his and Margaret Drummond’s young daughter to a place of greater safety, and because for the rest of his life he continued to pay priests to sing prayers each year for the repose of Margaret Drummond’s soul, he must have loved her very dearly. “The king came through the curtained doorway. He knocked a chair out of his way. Eufemia’s face was hidden from him, Sybilla was moaning in short quick gasps; the heavy feet of men running sounded from outside. James took Maggie in his arms, he lifted her and carried her from the room where Eufemia already lay dead. “My darling, my darling,” he whispered. He had taken her on his lap, and she was huddled against him, her legs doubled under her. She crouched on his knees, her arms around his neck, fiercely. She could not speak. She burrowed against him. Mary came running with a bowl, and James forced Maggie’s head up. He forced her jaws open. She began to retch. “James had lain Maggie on her bed. He was pulling up the white sheet. Mary saw his brown hands on the white linen. It’s been more than thirty years since I read The Hepburn. I haven’t picked it up again until today, to read those words. But I remember every vivid image of that scene, and I have always had a soft spot for King James IV because of it, because I felt his very human grief and glimpsed him, not as a great king, but as a man. Good history books can teach us many things about the past. Good historical fiction can connect us to it. And that, in my view at least, makes it worth writing. When Eva’s filmstar sister Katrina dies, she leaves California and returns to Trelowarth, Cornwall , where they spent their childhood summers, to scatter Katrina’s ashes and in doing so return her to the place where she belongs. *Susanna Kearsley's WEBSITE is really wonderful, so be sure to check it out for more information on the author and her novels. - Giveaway ends on October 17th. I absolutely fell in love with The Winter Sea and Susanna has just become one of my favorite authors. Please include me in this great giveaway. I'm a long time follower of this blog and on Passages FB. I shared on my facebook wall. I love the description of this book. It sounds so interesting, I would love to read it. Please enter me in the contest!! Thanks!! This is on my list to read. I am a GHC follower. Wonderful guest post! Please enter me in the giveaway. Oh wow, what a good post! I totally agree that well written historical fiction can fill in the blanks that nonfiction leave gaping. I love to read both nonfiction and fiction about a certain person in history to feel like I get a well rounded view of them. Because, really, even nonfiction is someone's interpretations of what happened in history. I have heard such wonderful things about Susanna Kearsley but haven't had the chance to read anything by her yet. Thanks for the opportunity to win one of her books! +3. Joined Facebook page (Colleen Turner0. +1. Shared on Facebook (Colleen Turner). Sounds like an amazing story! I can't wait to read some of Susanna's work! Please enter me into the contest--I would love to read this book. I loved The Winter Sea and am really glad you got a chance to read it - and that you enjoyed it too. I've read a few of Jan Westcott's books but not The Hepburn, but it sounds like I'll need to add it to my list asap. Poor Margaret and her sisters! Lovely! Just lovely! Thank you for sharing your thoughts! The book sounds quite good, and I cannot wait to read it! Thank you, also, for the contest! + 3 for FB joining . Thank you for hosting Susanna Kearsley today.....I have read and loved all of her novels and highly recommend them! Her writing is timeless and classic and is a wonderful blending of history, romance and suspense. No need to enter me as I have The Rose Garden (thank you, Susanna!) and it is wonderful. The synopsis of this book is very intriguing. I'm very interested in any book that switches from one time to another. I think it must take a very talented author to accomplish that. mmm, me too. love the sights and sounds of this book. "Winter Sea" is on my TBR shelf, looking forward to reading both that and the re-released "Rose Garden." I've been a fan of Susanna Kearsley since I bought one of her books, Shadowy Horses, from the Mystery Guild years ago. I absolutely fell in love with the story and especially the sentinel. I would love to win a copy of this book to add to my keeper shelf where her other stories are! I really enjoyed this post, and I feel the same way about how fiction can humanize history. I've read an excerpt from THE ROSE GARDEN and am eager to read more. Thanks so much for the chance to win copies of Susanna Kearsley's books! Please enter me in the giveaway for The Rose Garden. It really looks like a very good book. This sounds like an amazing book! I love the cover! I enjoyed the guest post and I would love to win this book! read the 1st paragraph of the synopsis & you got me at 'ghosts' & 'slipping between centuries'!!!! I'm keeping my fingers crossed for this book. Both The Rose Garden and The Winter Sea are on my wishlist. I'm really happy for the chance to win one of them. ps - follow you thru google reader. Definitely on the TBR pile. Thanks for the giveaway. I'm a gfc follower, as well as fb. I saw you were reading The Winter Sea and am curious about her books. I've never read them but they sound so interesting. I am so jealous she was a curator AND a writer! I don't think I could ever write a book but I'd love to be involved in history somehow. I'd love to read this one! Thanks for the fabulous giveaway! A very interesting post! I'm a genealogist and was a colonial archeologist, and historical fiction has been my favorite genre for decades. It entertains, illustrates, and sometimes pulls me into a world I knew little about before. Please enter me in The Rose Garden drawing. I have just subscribed, just applied to join the Passages to the Past FB page, and reposted on my FB page. Please enter me in the draw for The Rose Garden. Please enter me. This sounds great. I've heard great things about Susanna Kearsley, and I'd love to have the chance to finally read one of her books. And I'm a follower. Hi! Love the blog and Susanna's books! My email is rachel.ruetz@hotmail.com. Thanks! No need to enter me. I just wanted to say I just finished reading The Rose Garden and LOVED it. My review will be up this week. I now can't wait to read The Winter Sea. I've read a couple of other novels by Ms. Kearsley and I know I'd love this one too. Thanks for the giveaway. One novel I am excited to read, thanks! Wonderful post! I knew nothing of this historical story and know it makes me want to search more about it. That's why I love HF. You're correct in that good HF connects readers to the story, hopefully leaving an indelible mark. Terrific review! I would love to win a copy of The Rose Garden. I'm a follower of PTTP and a member of the FB page. LOVED The Winter Sea. Can't wait to read this one. Hi, Susanna! When I read this synopsis and another about your new book, "The Rose Garden," I knew I had to read it! Thank you for giving me something really great to look forward to. I follow PTTP and on FB too. My daughter would love this book, thank you for hosting the giveaway. Thanks for the giveaway! I have heard a LOT of great things about "The Winter Sea"! It's on my wishlist so it looks like I'll be adding this one as well. Oops! Left comment on previous post. +5 Already follow via GFC (MamaHendo3). +3 Already FB fan (Laura Henderson). This book sounds so interesting. I'd love to read it. I forgot to say in my previous post that I just became a follower on gfc. The premise of this book is fascinating and I'm a little envious of Eva getting the chance to see what life was like hundreds of years ago and meet and fall for one of the inhabitants of that time period! So cool! I would love to receive The Rose Garden. It sounds like a wonderful book. Thank you for the giveaway. I am a follower and on facebook. I have wanted to read this one for a long time. Thanks for such a great giveaway. I'd love to win it! I have a copy of THE HEPBURN. It is sitting with other books of the same vintage. It sounds like I will have to read it. I like time travel books, so THE ROSE GARDEN appeals very much to me. I can relate to her. Our whole family seems to have been born out of the time they would have fitted best in. I am a GFC Follower, librarypat. I am a Twitter follower, pbbearclaw. I follow you on Facebook, Patricia Barraclough. Thanks for the giveaway. This book is on my TBR list.